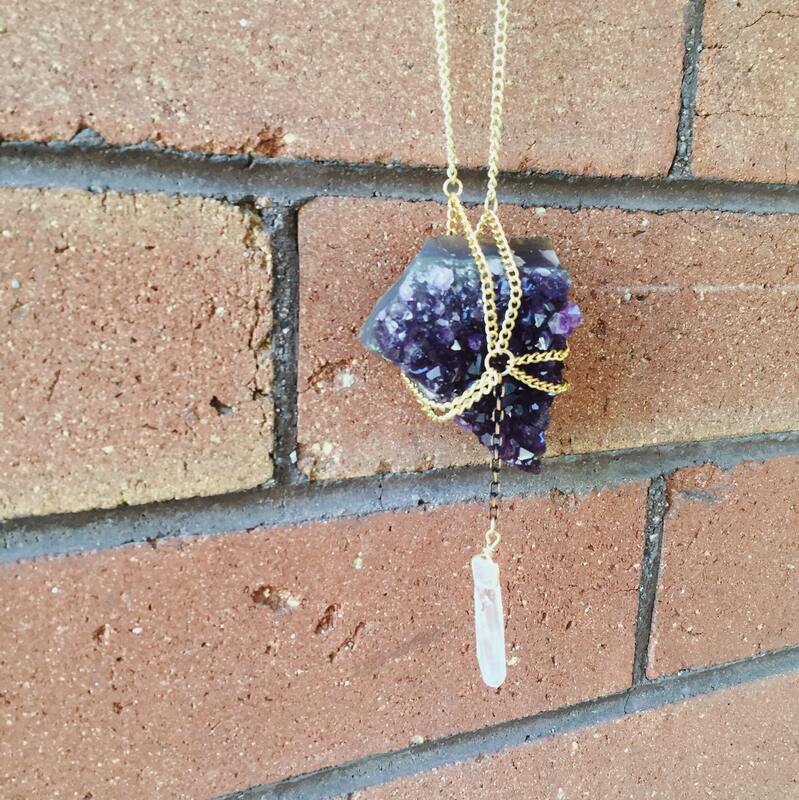 These stunning chain wrapped amethyst necklaces are show stoppers and radiating positive energy. 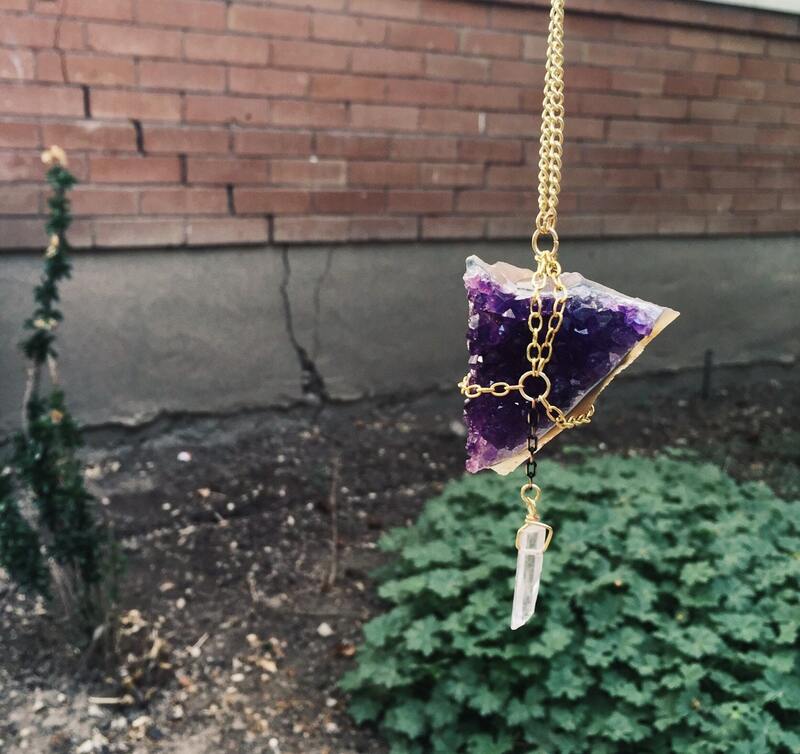 Each mineral pendant is wrapped/secured with gold chain and finished with a dainty quartz mineral hanging off the center. All these chunky rad pieces hang on 30 inch multi-colored chain (gold, silver, and gunmetal). 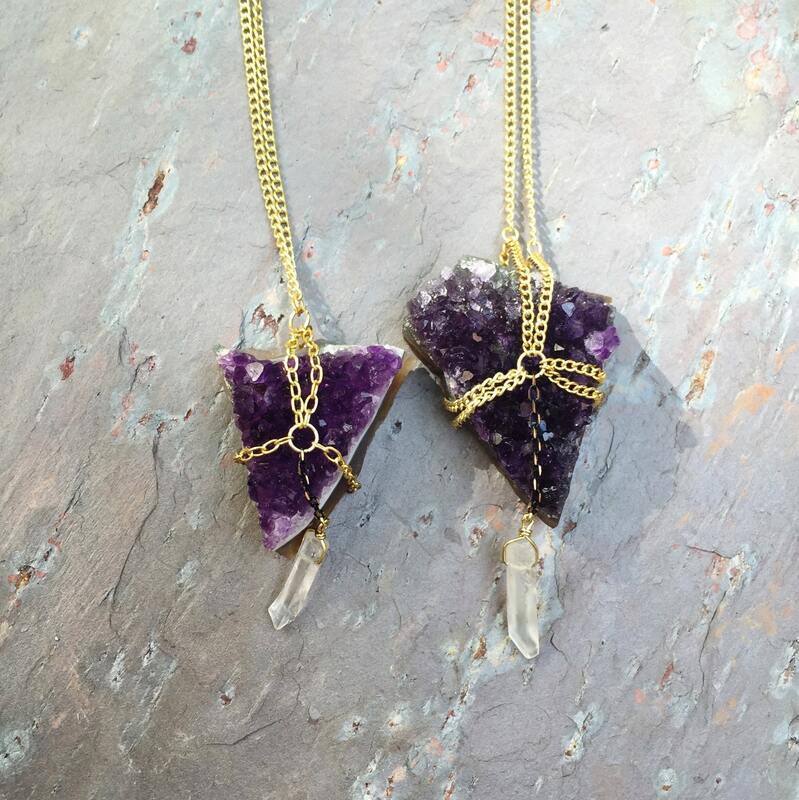 These ultra gorgeous pieces are unique and perfect for any free spirit. -	Increases spiritual growth & protection. -	Brings calmness and inner peace. 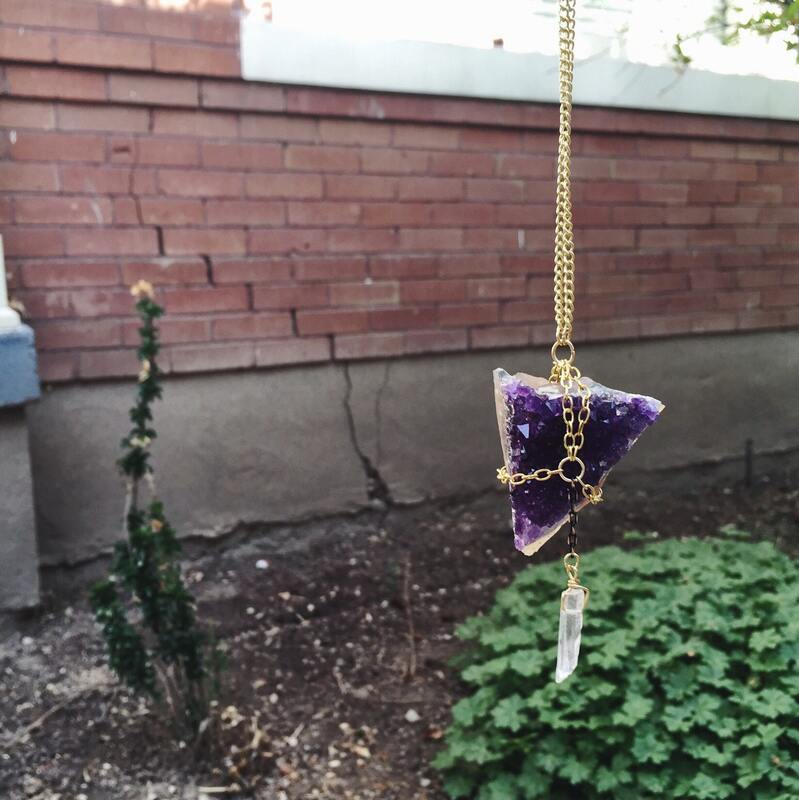 -	Repels negative energy and attracts positive energy. -	Helps in understanding one’s self.